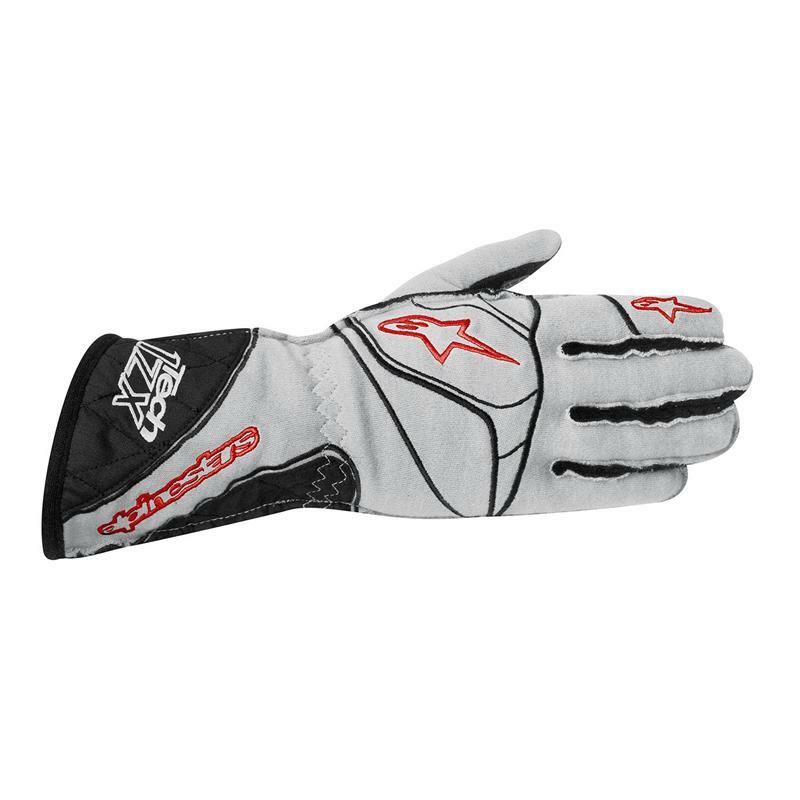 Alpinestars Racing Gloves - Tech 1-ZX UNIVERSAL - Dezod Motorsports Inc - Home of the automotive performance enthusiast since 2002. Complying fully with FIA homologation standards, Alpinestars’ Tech 1-ZX is an innovative Nomex glove with minimal seam stitching and reduced material construction to offer superior levels of performance grip, cockpit comfort and sensitivity on the car’s controls. Innovative Nomex and flame resistant cotton lined construction ensures optimal temperature control for maximum comfort and feel. New extended and ergonomically designed grip treatment on palm with increased silicon surface areas for improved feel, durability and grip. Improved Alpinestars exclusive internal 3D injected pattern actively improves comfort and grip while driving. Newly designed, textured Pittards leather palm and finger zones are strategically positioned to improve feel, grip and vibration dissipation. Fire retardant cotton liner keeps the hands comfortable and dry over a wide range of temperatures. Finger fourchette cross stitching reinforces the glove and prevents twisting. Ergonomic shaping and pre-curved fingers to reduce fatigue and external seams for superior comfort. Reinforced cross stitching on finger fourchettes prevents material twisting. Alpinestars exclusive cuff opening design for easy entry and secure fit.